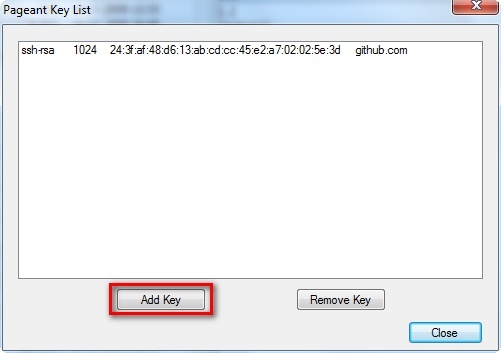 Just open "putty key generator" and generate (1) your key by moving your mouse on the surface. Than wite some comment(2) and secure it with random passphrase (3). Than save public and private key part on your file system. 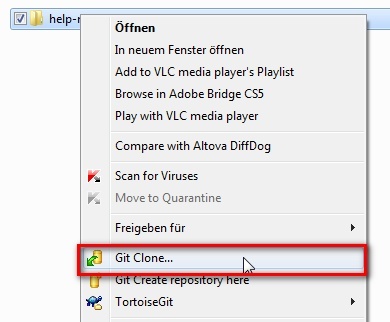 For example: on http://github.com/stuttgart-gtug/help-me it will be "git@github.com:stuttgart-gtug/help-me.git"
Now create a folder on your PC and hit right mouse button on it - choose "Git Clone..."
In next dialog put the URL of git repository and choose path to your private github key you generated before. Awesome, thanks! 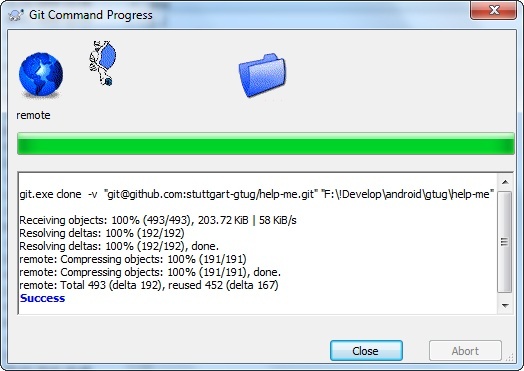 I swear that info used to be on the GitHub website (it seems to only talk about msysgit and the Bash Git prompt), but I don't fork/push nearly often enough to remember what I did the first time.